Well, I haven't written for about a month because life has been crazy. Just two weeks after Julie got out of the hospital, Jack came down with a fever. He wasn't his normal, chow down, non-stop talking/jabbering, laughing self. He was lethargic. We washed our hands like crazy and did our best to keep him away from Julie. That all started on a Friday early in December. On Monday I had to fly to Vegas for the AARC Conference. I was going to come back Wednesday night. Despite our nanny Mary and Julie's friend Heidi being there to help Julie, kids inevitably go back to their roots and cling to their parents. Julie was giving Jack medicine, comforting him and being exposed to what we found out was a nasty bug. At around 5:00 am Tuesday morning I received a text from Julie expressing her utter frustration. She was sick, our sitter was sick, and I was out of town. She layed the hammer down. She was hospital bound. I moved some things around and was home by 8:30 that night. It was stressful when she got the bug, but being together eased the stress. We knew we were going in the next morning when Julies oxygen dependence doubled overnight from 3 liters to 8 liters. She was doubled over in bed with something other than CF. I canceled my lunch and started to pack for her. The clinic made room for her and made an appt. around 1pm. When we went in to do PFT's (pulmonary function test) to our surprise, Julies PFTs were the same as when she was discharged. This was a little light of positive information that we could cling on to the next few days. When things are terrible with your health and everything seems uncontrollable, it is nice to have a piece of information that seems to reveal your efforts. Julie's lung function shouldn't go down two weeks after a hospital stay, but with the way she was acting and feeling, it seemed as though it would be much worse. In light of all this, the boys who were home with Mary (Nanny) all day hadn't had a long nap. This turned out to be a tender mercy for me. After spending the day with Julie and trying to help her feel comfortable, I finally went home around 7:00 to tired but happy son's. They were ready to sleep, and they fell asleep quickly. I had a few hours to wind down. Julie was admitted of course and on Friday she sent me this text: 'Will you come up here as soon as you can? I feel the worst I've ever felt." She did. She had a terrible headache that was due mostly to sinus pressure, but it freaked her out. That afternoon we started the rigorous line of tests that she would go through for the next 10 days or so to qualify her for transplant. She was lethargic just like Jack was the other day. Julie had asked to start despite how she felt because this stay was different. She was scared for her life, and if we are going to do transplant, We had better get started. She had a lot of anxiety and this was something she could do about it. She did a bone density test, sinus cat scan, and donated half her blood for lab work. She was toast. That afternoon, the wrath of this virus started to affect me. I think I had gone so long without getting sick that I must have let up on the hand washing. I started feeling the sensitive skin feeling mid afternoon, and by 5:00 I was achy. I left around 7:00 and was shivering all the way to my truck. When I got home Mary had put the boys to sleep and I was trashed. I decided to make some soup and call my home teachers. I could have called my Dad or BJ Butler or any old friend, but I thought that I should give the HT an opportunity first. Ryan Panke was over within minutes and so was Justin Brown. They gave me a priesthood blessing. I kind of knew I was in it for the long haul because I was seeing it in my kids and wife. Ben had been sick since Tuesday that week and he was hating life. It started in the sinuses and quickly moved down into the upper respiratory tract...ideal for Julie right? The blessing was comforting. It was good to see some people from the neighborhood as well. I had to isolate myself from Julie despite having the same thing. We didn't want to risk anything. The next day Ben and Jack turned 2 years old. Jack was about 70% and Ben was miserable. He slept a lot that day, so we went to Costco to get some things and took some flowers up to their mom. Rick, Julie's dad had gone up to be with her in the middle of the night because she was having a hard time breathing and was scared. We met them at the entrance and we stayed about 5 feet from her. It was really good for all of us to be together for a little while on their birthday. That night at around 2:00am Julie called me and told me she had de-accessed her port when she got up to go to the bathroom. Her port is a sub-cutaneous medical device permanently in her arm just under her bicep. It is like a permanent pik line. When her nurse came in the room she tried to access her...IN THE DARK. Julie stopped her and tried herself. Then they called one of the Huntsman Cancer Institute nurses and she couldn't do it. Julie wanted me to come up. I was so sick. I was all drugged up, and still shivering in my sleep from the fever. Despite all this, I knew she didn't trust anyone up there at that point. I bundled up with 3 layers and drove up there after Rick (sleeping at the hospital again for Julie) came down to our house. I was ticked and miserable. I walked into her room, prepped her, and when I was just about to access her the nurses came in to watch. I asked them to leave so I could concentrate. The next week was brutal for Julie. Her dad slept up there through Tuesday morning. I got an antibiotic on Monday and was back to work and semi-regular life by Wednesday. They boys started an antibiotic Wednesday and immediately started to improve. 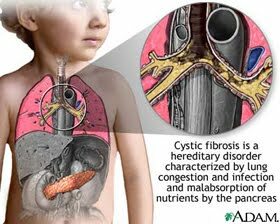 Julie had tests all week and was trying to fight her virus as well as the infection due to the CF. The silver lining in all of this was she got out right before Christmas. We had a very regular holiday and it was great. We really are being watched over. We have so many tender mercies from the Lord every day. There is no way that there is not a higher power. So many small things just work out for Julie and for our family. He is living and breathing just as we are. No matter what you are going through and no matter how alone you might feel, you have a Savior who is aware and concerned for you. Looking back at the challenges of 2010, I can see the refiners fire working on my soul. I don't always get what I pray for, but I realize later the blessings of going through these challenges. To be honest, they really aren't bad. Our life is relatively normal. We have these challenges and luckily they bring us back to Him. I actually don't know what I would do without them. Julie is an amazing fighter in all of this. She rarely complains of her demise, and if she does she gets it out and leaves it at that. She is blessed with a fight. She has so much perseverance in all of this. She is happy, cheerful and diligent in her treatments, the one thing she can control. Last Tuesday she received a call from the transplant team informing her that she was a good candidate for transplant and that they would be writing our insurance company a letter. It looks like we will be getting listed in the next few weeks. I am excited for her. She is terrified. After she told me what they said I said, "That's exciting!" She said "No it's not." I told her "It's better than getting the news that you can't get listed." I realized that this isn't just some quick decision for her, it's desperation. She wants a better life and this is the only thing that can give her that. Plus, she and I realized on that last hospital stay, that virus' and cold season really are a matter of life and death for her now. That really took her down, and she is so fragile now that a bad bug could end up taking her life. So Carpe Diem! We're moving forward, with peace and urgency. I am in my own home with my wife and that is the greatest start to 2011 I could ask for.